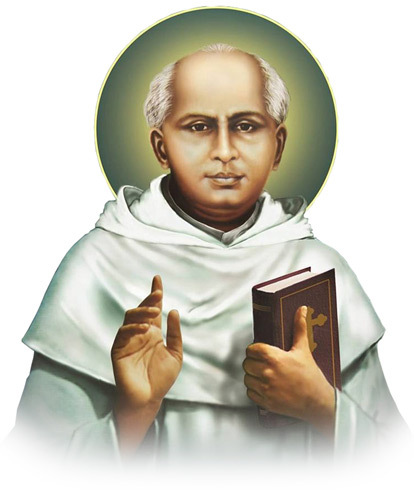 Carmelites of Mary Immaculate (CMI), founded in 1831 by St. Kuriakose Elias Chavara is the first indigenous religious order of the Catholic Church in India. 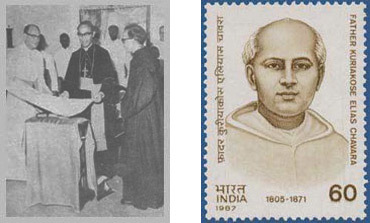 Till date, it remains the largest among various such Christian initiatives in India with the mission of propagating and practicing love, truth, service and justice. It has grown having almost 2500 members, and fifteen provinces spread all over the country and abroad, finding newer ways and avenues to spread the good news of God’s love and care. The CMIs across the globe, over the past two centuries, have tried to find expression to the good news of God’s care and concern in many and new ways, especially through the liberating mission of education. It has established a unique and unparalleled tradition in this field, by steady and systematic steps in covering all avenues of education. Christ University Bangalore, Devagiri College Calicut, Christ College Irinjalakuda, K.E. College Mannanam, to name a few, are expressions of this noble initiative. One of the recent steps in this continuing mission has been the entry of CMIs into medical education, with Amala Hospital and Medical College establishing one of the new generation medical colleges in Thrissur, which has already carved a niche in the field of medical education in the state. Sacred Heart Province, Kochi, popularly known as Rajagiri, of the CMIs has been the leader as far as quality and advanced education is concerned. It has been in the forefront in the quality movement in education – in school, college and technical and professional education in the state. The Rajagiri brand in education is renowned for its unique blend in quality – of the best in teaching-learning of curriculum, and going beyond curriculum by reaching out the benefits of education to society at large. And this, the latest and the most ambitious venture in this Rajagiri tradition is the Rajagiri Healthcare and Education Project. This is a joint initiative of CMI Sacred Heart Province, together with two of its prominent units, viz., Sacred Heart Monastery, Thevara, Kochi and St. Antony’s Monastery, Aluva. do you have an OPD number?